Each of us has a different skin type – dry, normal, oily or a combination skin. But one thing that all of us need to do is cleansing. Cleansing the skin helps remove all the dirt, impurities and oil that is clogged in the skin and it helps remove the dullness from your face. Every single day we are subjected to dirt, pollution and other environmental factors that come and settle in our pores. To top it, the body also produces oil that resides in these pores. So it becomes essential to cleanse the skin of all these impurities at least twice a day. Rather than resorting to a store bought cleansing wash or milk which may not suit your skin type, why not we make our own cleanser that is natural, cost effective and works magic on the skin?! Here we show you some easy homemade cleansers, for each skin type. Cleansers are of two kinds – the soap-free face washes that are applied and washed off and the cleansing milk which is massaged and wiped out with a cotton ball. Homemade cleansers cannot foam up. Hence they need to be massaged into the skin and then wiped off gently. Do this once in the morning to remove any oil deposition and to prepare your skin for make up. Repeat before you turn in for the night to remove all the dirt and remnants of make up from the skin. Dry skin needs a cleanser that is normally milk based. It helps in making the skin soft and supple. You need to work on getting rid of the bacteria on the skin and there is no better way to do it than with yogurt. It is anti-microbial. It also helps in moisturizing the skin with its good fats. The honey helps in dissolving the dirt out of the pores and attracting moisture from the environment. 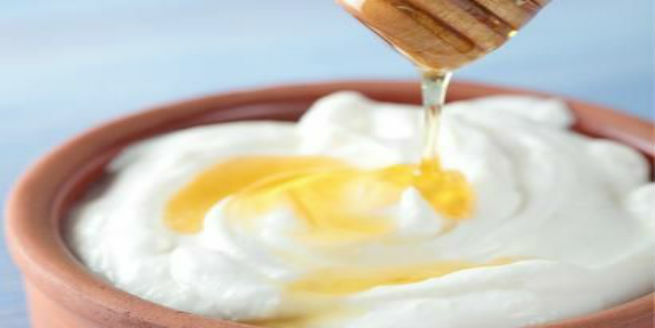 To make the cleanser, mix equal parts of yogurt and honey. Apply on the face in circular motions and wipe off with a wet cloth. Add a pinch of turmeric to 3 tbsp of milk and mix well. Apply this in circular motion on the face and leave it for two minutes. Wipe it off with a wet cloth in upward strokes. The milk restores the moisture in the skin while the turmeric will add glow to it. Oily skin is what needs cleansing the most since it attracts the most amount of dirt. Women with oily skin need to keep their skin clean at all times to prevent it from breakouts. Mix 15 tsp of chick pea flour with 1 tsp of turmeric and store it in an air tight container. Each time you want to cleanse your skin, take a requisite amount and mix with water or rose water. Apply all over the face in circular motions and wash off after two minutes. The cleanser soaks up extra oil and clears the skin. Both lemon and honey help in cutting the oil out from the skin. Lemon controls oil production and is also anti-bacterial. Honey cleanses the skin without drying it out too much. Apply half a tsp of honey mixed with half a tsp of lemon juice all over your face. Leave it on for a couple of minutes to dry and then wash it off. You will feel and smell great! If you have normal skin, then there are many cleansers that you can try. Your skin needs some moisture from the cleanser, at the same time, it needs a non-fatty element that will prevent oiliness. Make a puree out of 1 cucumber with some mint leaves and store it in your refrigerator. When you want to cleanse your skin, mix 1 tsp of this puree with 1 tsp of yogurt. Apply all over the skin and wipe it with a washcloth. The yogurt will help moisturize while the cucumber will hydrate the skin and also control the amount of oil in it. Mix equal parts of castor oil and olive oil and store in a bottle. Add a few drops of lavender or tea tree essential oils to this. Use a few drops of this oil to massage your face. Wipe it off with a warm washcloth. This cleanser restores the oil balance in the skin while also gently nourishing it. So here you saw some simple and inexpensive ways in which you can make your own cleanser. It is natural, it is fresh and more importantly, made for your kind of skin! Know of any other effective homemade cleansers? Chime-in in the comment section.